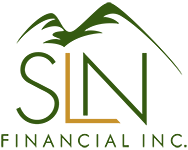 August 9, 2017 - Debunking Common Annuities Misconceptions, Part 2 | SLN Financial, Inc.
Having enough money to last through retirement is essential, and retirees have a variety of financial strategies to help them build the lifelong income they need. One such financial option is purchasing annuities. Yet, many myths exist about the annuities landscape, commonly confounding and dissuading people who could benefit from them. To help you better understand the annuities landscape, we continue our focus on debunking common misconceptions. Myth #1: Annuities aren’t good for retirees. A variety of annuities exist, so identifying which type aligns with your retirement - income needs and financial goals matters. But you can find confidence knowing that annuities can help be helpful for retirees. Myth #2: Annuities are tax free. The tax-deferred structures you can purchase into can help you manage your money today while creating tax-friendly strategies when receiving income.3 The key is to work with your financial representative to identify which tax-planning strategies are right for your financial goals. Myth #3: Annuities are too expensive. Just like many investments, annuities will carry some fees. And once you buy them, your money does become illiquid or “locked,” since you cannot withdraw your funds until you retire and are ready for your payout.4 If you do withdraw early, you must pay penalty fees and regular income tax.5 As such, you probably do not want to lock all of your retirement savings into an annuity. With that said, you can find annuities that fit your purchasing abilities and income needs without depleting the savings you need to carry you through retirement. The focus is to stay within your investing budget and align your policy to your financial goals. Overall, your retirement goals and income needs will drive the best annuity options for your financial life. If you would like to discuss how to manage your retirement-income needs with annuities, we’re happy to help. Please contact us today.